Norway's ruling party just voted against funding Oslo's 2022 Winter Olympics bid, essentially forcing the city to drop out of the race. It's just the latest in a long series of cities and countries who have given an emphatic "no" to hosting the Olympic quagmire. In a non-binding referendum in February, 55.9 percent of Norwegians said they didn't want the Games. 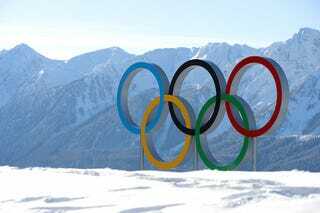 "There must be major changes in the IOC before I can help to support an Olympic application," said Tromsø Mayor Jens Johan Hjort. All meeting rooms must be kept at exactly 68 degrees. All furniture must have "Olympic appearance." Oslo joins a decorated list of municipalities that have declined to pursue Olympic bids, or dropped out of the running after residents voted against it. Invariably, each blamed the rising cost and invisible benefits of hosting the Olympics. Among those who withdrew are Krakow, Poland; Stockholm, Sweden; Munich, Germany; Davos/St. Moritz, Switzerland; and Lviv, Ukraine, which dropped out just before the IOC selected three finalists (the only three cities remaining). With Oslo out, it's down to Beijing, China, and Almaty, Kazakhstan. The vote will be held on July 31, 2015, assuming one or both candidate cities don't drop out before then. Below, our story from May on why only the autocratic can afford to host the Olympics anymore.